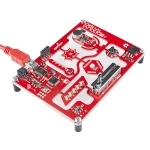 Description: The Digital Sandbox (DS) is a learning platform that engages both the software and hardware worlds. It’s powered by a microcontroller that can interact with real-world inputs – like light or temperature sensors – while at the same time controlling LEDs, motors, and other outputs. The Digital Sandbox is equipped with everything, on board, that you will need to complete 13 experiments including controlling an LED, measuring how loud things are, detecting what the temperature is, and more. 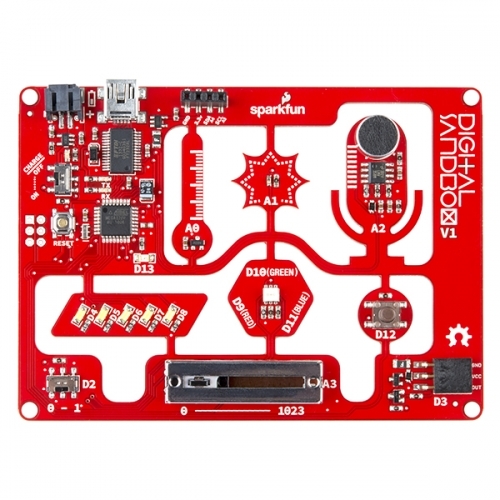 Think of this as a SparkFun Inventor’s Kit all in one board! By interfacing the Sandbox to your computer via a USB cable, the Sandbox can be programmed using the popular Arduino programming environment. To further simplify the learning experience, we’ve designed the Sandbox and its guide around using a simple, “blocky”, programming add-on to Arduino called, Ardublock. 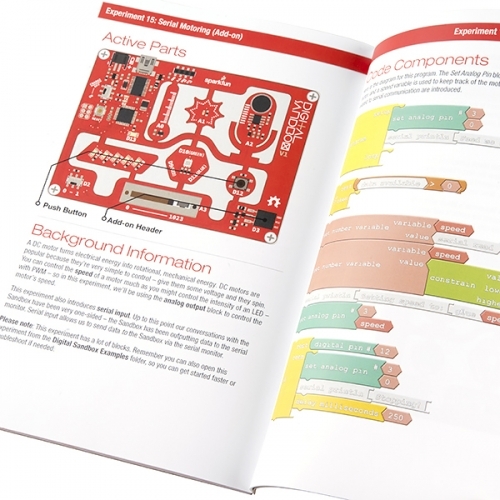 Using ArduBlock – a simple, graphical version of the popular Arduino programming language – you will be able to program all of the experiments with a simple graphical interface instead of writing code.